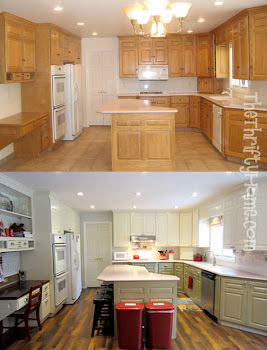 I've been blogging and sharing my thrifty projects and tips since 2009. I enjoy finding a bargain and using my creativity to decorate on a budget. 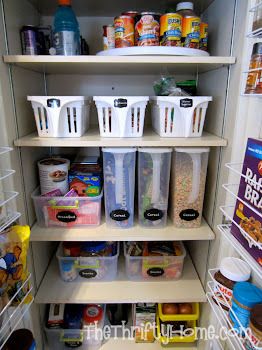 I also love organizing and finding cheaper and healthier ways to clean and cook. I am married to a great guy who puts up with my never ending to do list and helps me with all of my projects. I have 3 kids who keep me pretty busy and are in 3 very different stages of life; my youngest is in Elementary school, the middle child is in Jr. High, and the oldest is in High-school. When I'm not blogging, I'm working on a project, reading, organizing, traveling (wish I could do this one more), or browsing Pinterest. I host a Penny Pinching Party every Wednesday starting at 12:00 am MST. 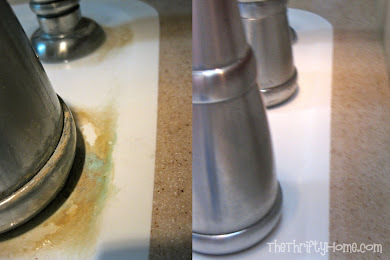 I love to see what others are doing to save money, so come and link up your thrifty projects and ideas! So nice to meet you! I love the new blog and I'm excited to see your entries. I would love to share a before and after picture of my garage, but unfortunately we are still stuck in the "before" stage. Yours looks awesome and I love how you were able to do it without spending any money! Nice job! Very inspirational. I'll have to grab your button! Thanks for letting me know about your blog! This is right down my ally! I love being thrifty (to a fault). I'll be a follower for sure, and if I can get my life in order a little bit now that we have #3 here, I might have some pictures of my own to send your way. Hi Jen, I am you plus 40 years! You will be in a very good spot when you have gone through your life as I have. Like you, I love design, style and nice things but have always managed to be smart and create what I wanted. People always compliment me on my home and clothing and I now am proud to say that I found it in an "alternative" shopping arena! Now that I have grown children and retired. I can actually enjoy "hunting" for things once in a while. Having a good eye for quality is essential...that you need to either need to be born with or cultivate. Congratulations on a great lifestyle and blog! Hi Jen, nice blog, lots of great ideas! I am so glad that I have discovered your blog today! One of my favorite hobbies is couponing and all my friends thought I was such a dork - that is until they saw my pantry and receipts! Love the FREE stuff!! Well hello there, fellow Utahn (nevermind that I'm from the other side of the divide- Salt Lake). I'm digging your thrifty blog- and your haircut! I just want you to know I absolutely love your blog! I too have many things in common with you. Your motivation really inspyres me! That's what I crave everyday, inspiration. I love home decorating, but I have blogged about my constant struggles to complete decorating goals on the count of $ and playing catch-up & keep-up. Nothing stops an over-comer and as my mom used to say, "when there's a will, there's a way." That's what your blog says to me. Thank you for your constant great contributions and thank you for the inspiration to keep on trying to reach my dreams.